Two tech titans have launched a billion-dollar non-profit that they hope will keep the world safe from an artificial intelligence takeover. Tesla CEO Elon Musk and Sam Altman, president of Y Combinator announced the launch of Open AI, a project to democratize technology and ensure that one one person or entity ever controls enough artificial intelligence to take over the world. It’s a lofty premise, but one that takes its cue straight from a James Bond movie: every villain had a wicked plan to rule mankind. 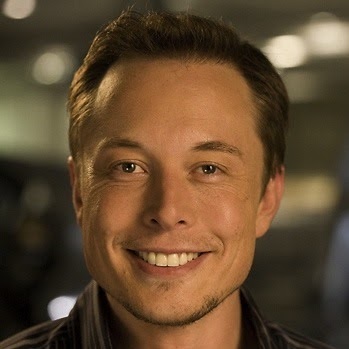 Musk and Altman believe a real-life Dr. Evil could someday bring the world to its knees. Basically, Open AI is a research lab where a cadre of scientists work to create and advance digital intelligence and make that information available to everyone. The open source philosophy will serve as a balance to the private, for-profit model, in which technology is created in service to a few. Musk, Wozniak, Stephen Hawking, along with other like-minded AI skeptics are part of the advocacy group Future of Life Institute. Last year, they drafted an open letter warning of the “potential pitfalls” of AI, and enumerated a list of ways to “maximize the societal benefit” instead. Musk and Atman’s Open AI venture seems to dovetail from that list. Open AI is funded by Pay Pal co-founder Peter Thiel, LinkedIn co-founder Reid Hoffman, author and Y Combinator co-founder Jessica Livingston, as well as Amazon AWS, Infosys and YC Research.